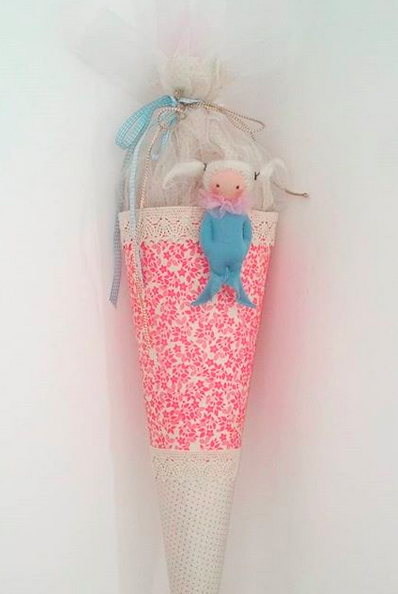 You can surely make a beautiful school cone for your kid. There are several instructions online, like for instance the one on Himbeer. An when you are finished, just attach a little Loulabee brooch on it to make it prettier. This one is for my daughter who will start school this year, for inspiration. Just go ahead and give a try. I tell you, this is also my first one ever and it functions!!! And the brooches you can find on my shop.